The BSW Program at the Kent School of Social Work is a full-time, campus-based and online program that prepares students for entry level professional social work practice. The Program also provides the foundation for graduate study in social work. Students may qualify for entry as Advanced Level students in graduate social work programs. The program is accredited by the Council on Social Work Education (CSWE). The BSW Program Curriculum builds on a liberal arts base. The curriculum is designed to promote the development of generalist social work knowledge and skills in using critical thinking to analyze, plan and implement effective interventions to address complex social problems and the subsequent impact on individuals, families, groups, organizations and communities. 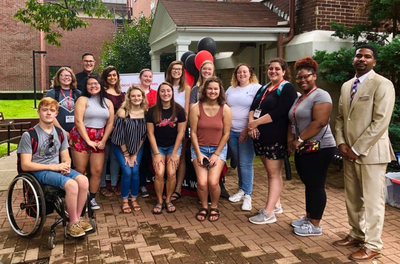 Students gain experience through service learning and social work practicum.